Concentrated suspension of 0.5 µm solid latex microspheres that can be excited by a blue light source. Dilution of this suspension serves as a reference standard for laser alignment and focusing of flow cytometers equipped with a 488 nm laser. 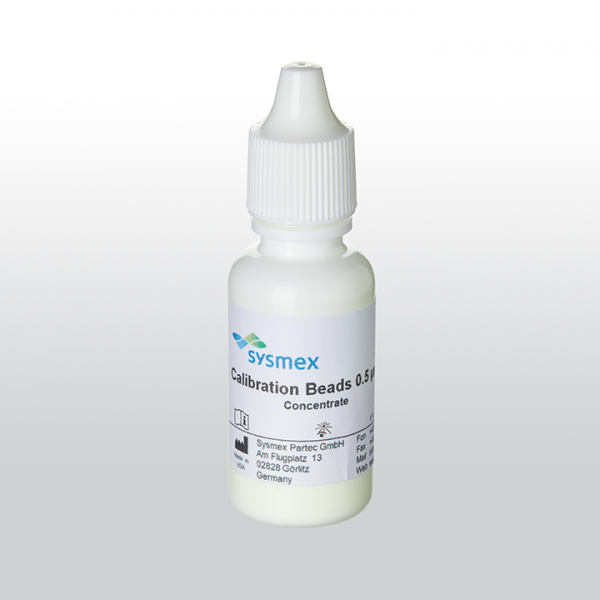 Calibration Beads 0.5 µm suspension dilution can also be used for quality control with standard settings and the analysis of small particles such as micro-organisms.